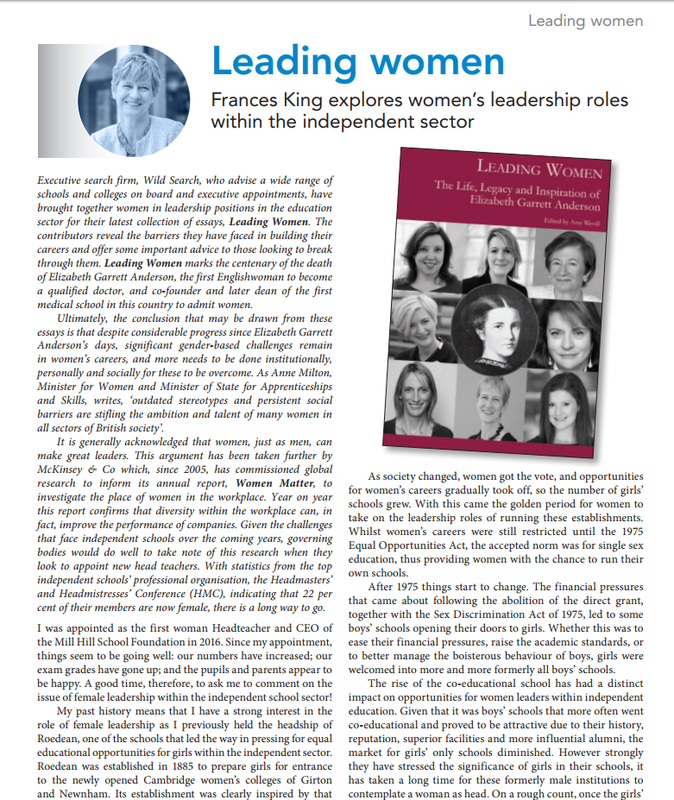 Amanda Spielman, Vicky Beer, Dame Rachel de Souza, Lucy Heller, Rebecca Clark, Janet Renou, Sally Collier: never has education had so many senior leaders that are women. And whilst we should celebrate the growing number of women in these positions, the truth is that we would have even more women in leadership roles were it not for the barriers and attitudes that sadly still prevail in education. Education comes pretty near bottom of the class when it comes to making strategic moves which would enable women to progress to the top. Financial services, tech, retail – have all recognised the need to change the way they think about their female employees and the support they provide. Nurseries and creches, spaces allocated for breastfeeding, genuinely flexible hours: these are all becoming increasingly commonplace in many a workplace, but rarely in education. The life and work of Suffolk “trailblazer” Elizabeth Garrett Anderson have been celebrated in a new report exploring female leadership. Leading Women: The Life, Legacy and Inspiration of Elizabeth Garrett Andersonis being released to mark the centenary of the former mayor of Aldeburgh’s death and reflects on the achievements of working women across society, as well as the barriers that remain in their way.